I just finished a charity design project full of collaborators. 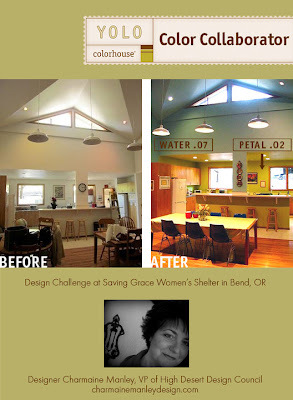 The High Desert Design Council, specifically Mindy Lyman & Martha Murray, plus a handful of wonderfully talented volunteers and generous business owners, transformed the great room/kitchen of a women's and children's shelter. We only had one week. And we had zero budget. Amazing what can be done when people come together. The biggest visual impact came from paint. Such a simple thing, really. 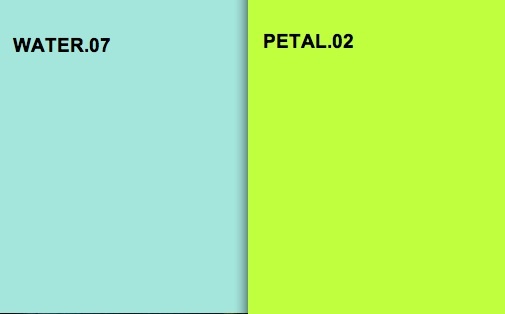 But the WOW factor definitely comes into play when two gorgeous color are paired. No more white walls! Huge thanks to Yolo Colorhouse for donating ALL the wall paint.